Abron Electrical are a locally run company providing a quality and superior electrical service for the commercial and domestic market. We undertake small and large electrical contracts throughout the Devon, Somerset & Dorset area of the South West. 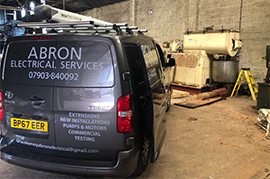 Abron Electrical have been operating as experienced electricians in the Devon, Somerset and Dorset area of the South West for a number of years and have built a solid reputation for a reliable and competitive service. 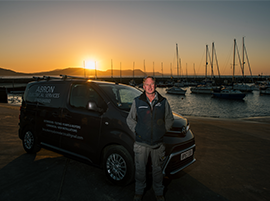 At Abron Electrical, we specialise in all areas of electrical work including home maintenance and security, electrical design and installation for lighting and domestic appliances.